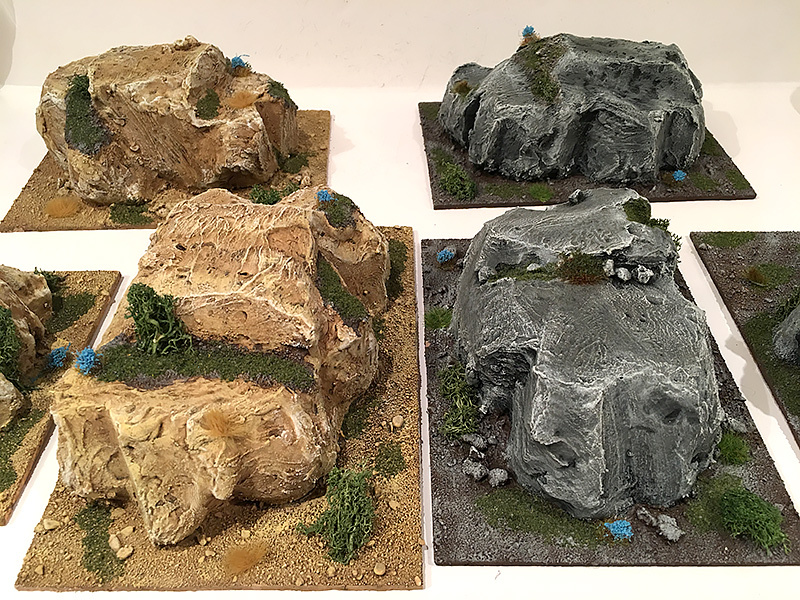 I started making these hills about a month ago. 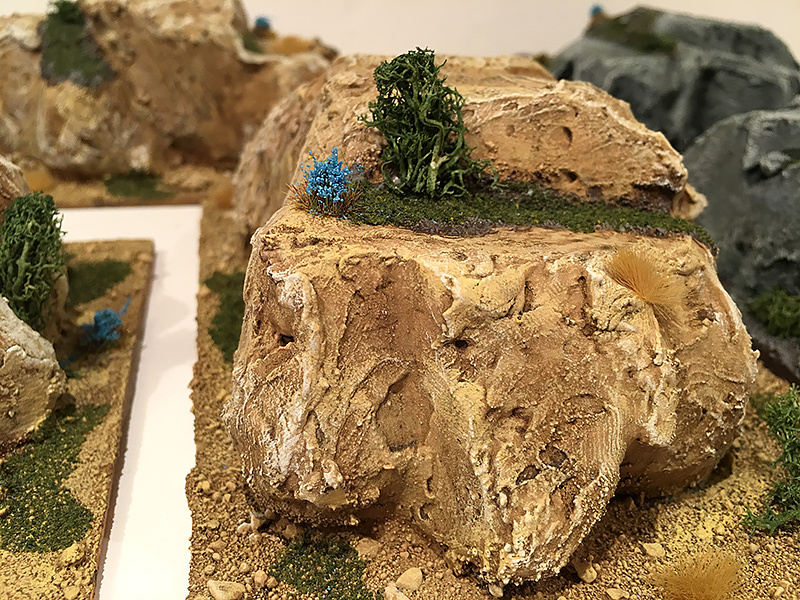 It’s one of those little projects you can do a little bit of work on, put aside and resume whenever you get a bit of time. 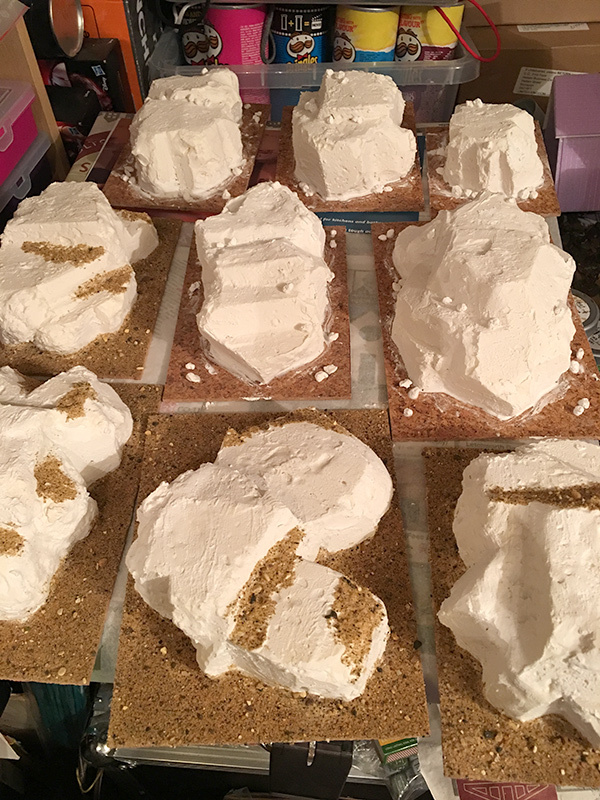 The hills are made from that expanding foam you inject behind bricks to get some insulation. 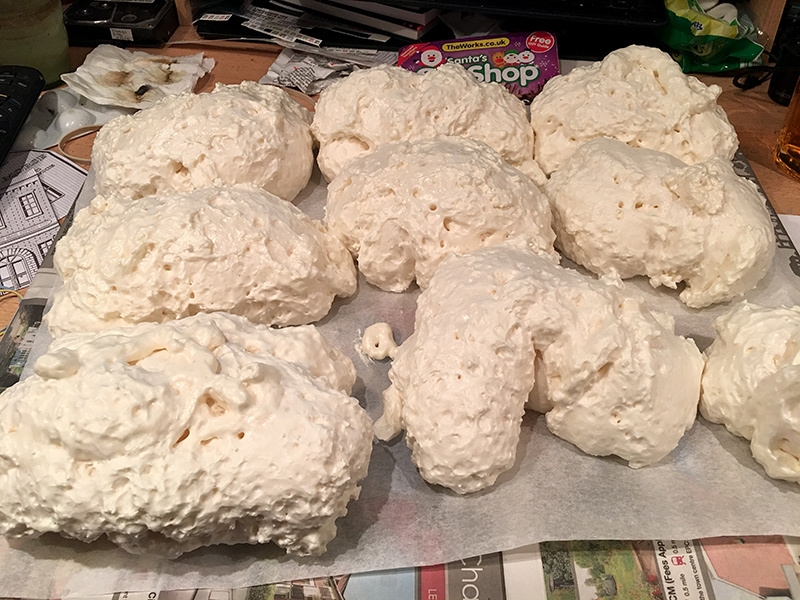 I bought a can of Soudal Gap Filling Expanding Foam from the Range last time I was over there. It cost about £7 but I have since found some in one of my local stores for a couple of quid cheaper. 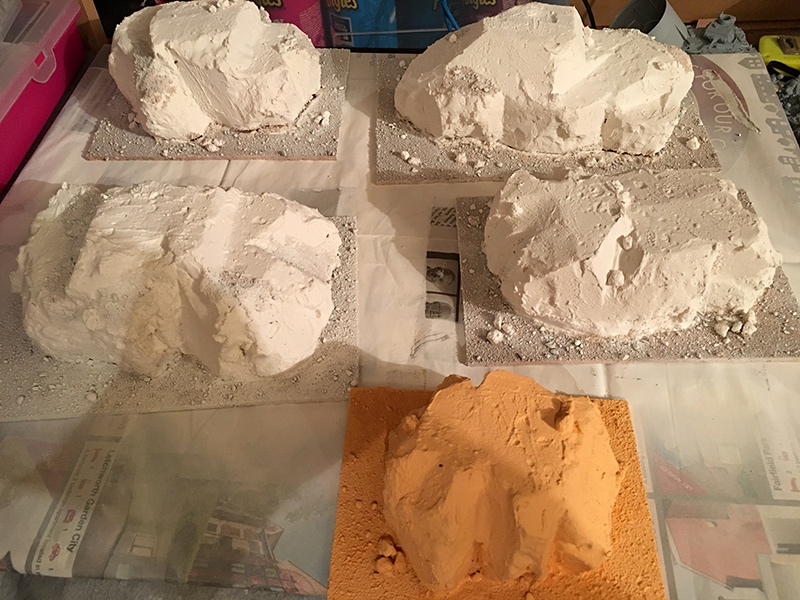 So far I’ve made about 21 individual hills and I still have some left in the can. 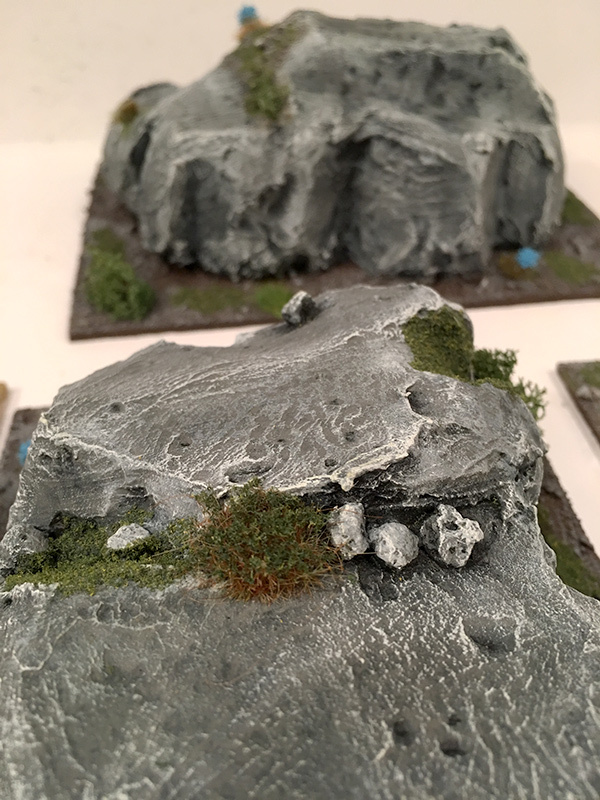 Glue the hill to a base. In my case I chose cork tile. Coat the hill in filler.This fills in all the air bubbles and provides a key for the paint. 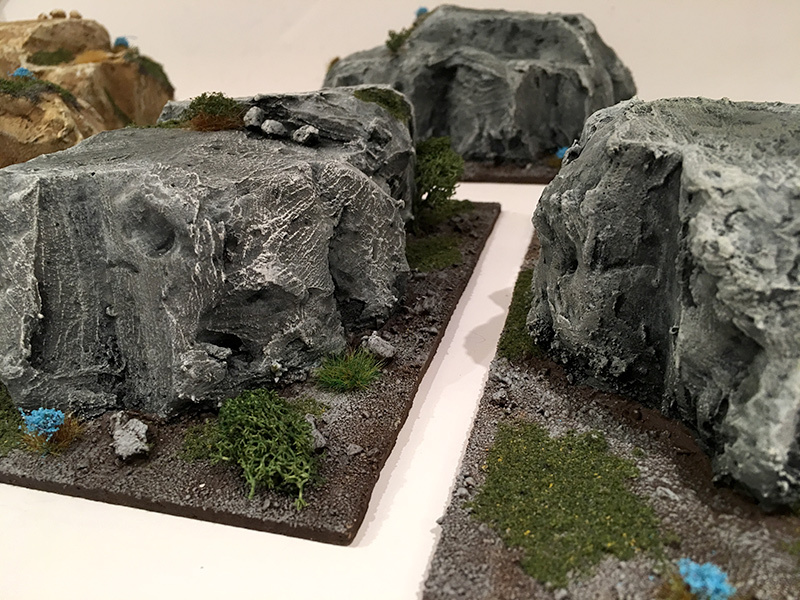 Add small rocks to the hill and the base. I use pieces of cat litter for this. 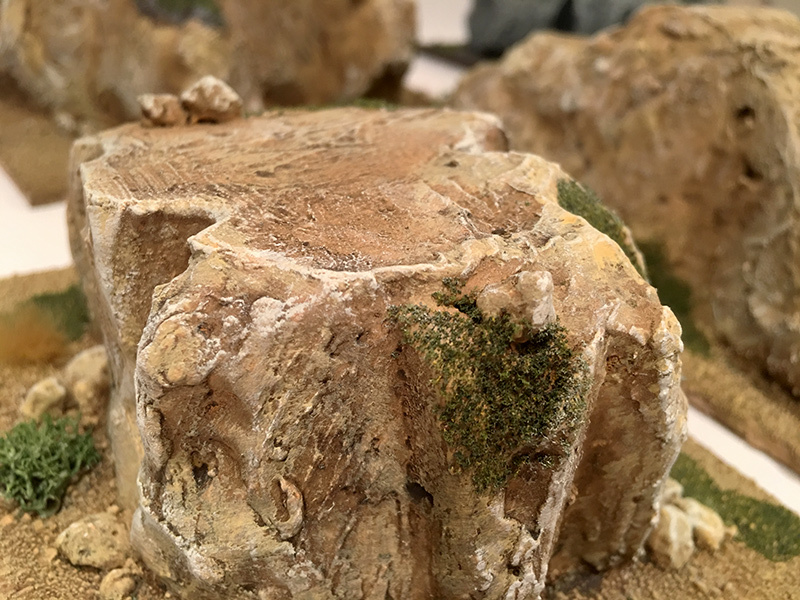 Glue sand to the base to match all my other terrain. Paint the hill. So I give it a base coat, then a wash, then a highlight of base-coat, lighter highlight and a white highlight.